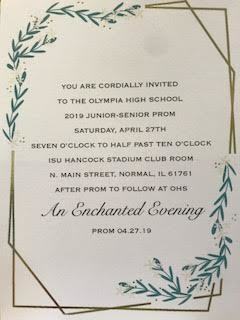 OHS Prom "An Enchanted Evening" will be held at ISU Stadium Club Room on Saturday April 27th from 7:30-10:30. Prom is an event for Junior and Senior Students and their guest. The Junior class is working hard to plan this wonderful event! Please click on the link below for the signup!